The sun shone for us today on our September walk at Shotley. 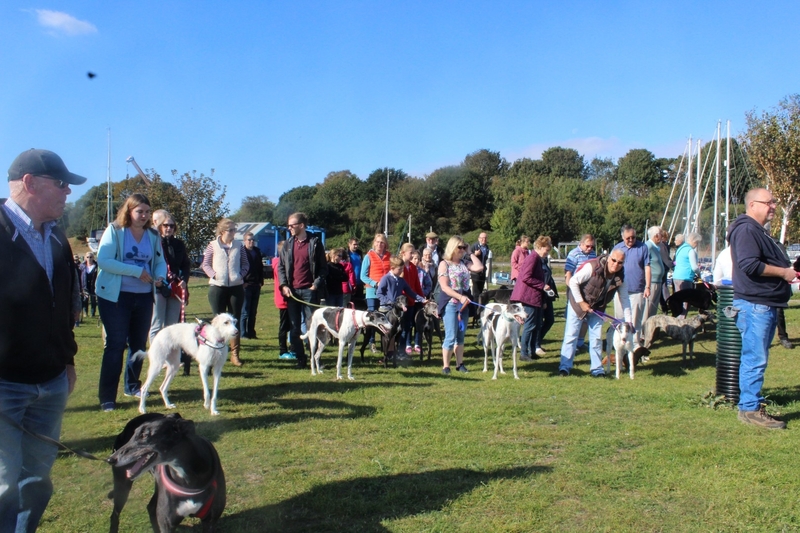 48 Greyhounds and their companions gathered for a stroll along the river and through the village. Kennel mates Bambi and Leo joined us and were so well behaved. Many thanks to Lynn and Darcy the retriever for helping to lead the walk and to The Shipwreck for their hospitality.